For all questions please contact Jacquie Lane. BTS is the exclusive UK service for the leading German micro-biological Dr. Hauss Laboratory, near Hamburg: www.hauss.de. Through BTS this service is now available to practitioners across Great Britain. The UK principal is Naturopath and Nutritional therapist Jacquie Lane ND, dipNT, NTC, CNHC, lecturer for College of Naturopathic Medicine. All testing is conducted in the German laboratory run by micro-biologist Dr. Reinhard Hauss, PhD, and Dr. Helga Hauss, MD, Dermatology Consultant. In Germany all laboratories are supervised by the health authorities. 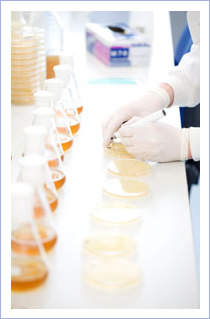 BTS offers a wide range of mainly micro-biological tests for the practitioner. What does the practitioner get from BTS? Once your patient’s sample has been received in the lab, a full analysis is prepared and the results are sent to the BTS who will translate them into English. For example, the full fungal screening (candida and all other yeasts and moulds), will provide you with the stool-pH, a full count of all pathogenic fungi and an analysis for the representative protease to identify if the yeast strain is pathogenic (virulence test). As an additional service a mouth swab is investigated with the stool test free of charge. 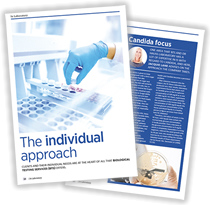 You will normally get all these details + individual therapy suggestions + diet + hygiene recommendations for your patient from BTS within a fortnight after arrival of the sample.